How does Solar and Batteries work? There are 2 main instances where solar and batteries are combined to provide a unique storage solution. The most common being hybrid, which is mainly installed in metro and rural areas. Hybrid solar is where an existing solar system or a new solar system being installed with batteries is used in conjunction with the electricity grid. The next is Off Grid or 'Stand Alone', where either the consumer has no option to connect to grid due to expense to get power to their property or chooses to be totally independent from the grid. In grid connect solar systems, the solar panels produce power which the inverter converts to ac power for our house or business to use. The surplus power of this system however is exported back to the grid and measured by the bi directional smart meter. This is where the small feed in tariff is then paid back to the consumer on their electricity bill. Hybrid systems allow for batteries to be installed either with new solar systems or retro fit to existing solar systems to capture and store the surplus power produced by the solar system. This allows the consumer to use the power from the batteries instead of buying from the grid once the solar system is not producing power. In case of a black out with grid power, some systems are able to provide emergency back up power to your home or business. Hybrid System Installation - surplus is fed to the batteries before the grid. Off Grid systems or Standalone systems have been installed in more rural areas of Australia. The solar panels produce the DC power which is fed to the inverter and then to batteries. The batteries then feed the house supplying a fully stand alone clean energy system. 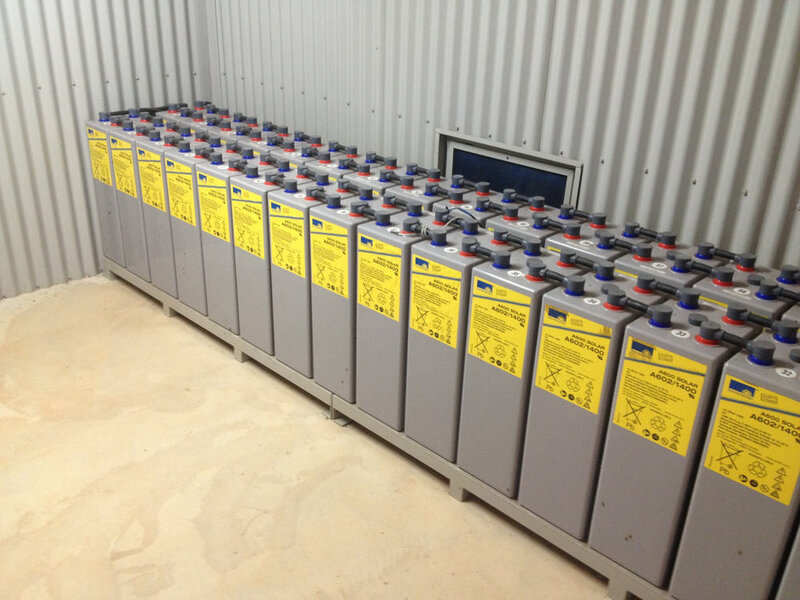 Usually, a back up generator is installed to provide a 'top up' to the batteries when they fall below certain levels. Unlike grid connect or even hybrid systems, these are a specialised system which require consultations and design ensuring a customised solution will work both with the consumer needs and budget. These systems have not only been used on homes but sheds where power is too expensive to run from the house.